Nordic Game Jam (NGJ) is a competition for game programmers, graphics artists, musicians and game designers to come up with the best game in less than 48 hours over a weekend. I’ll here share my experience of my 4th game jam. This years theme was extinction. After a long brainstorm session we ended up with a quite simple game idea: A two player game, where each player should fight to avoid extinctions by collecting resources which protects the player from meteoroids, while at the same time the player should bomb the resources of the opposite player. The game takes place on two planets in space. 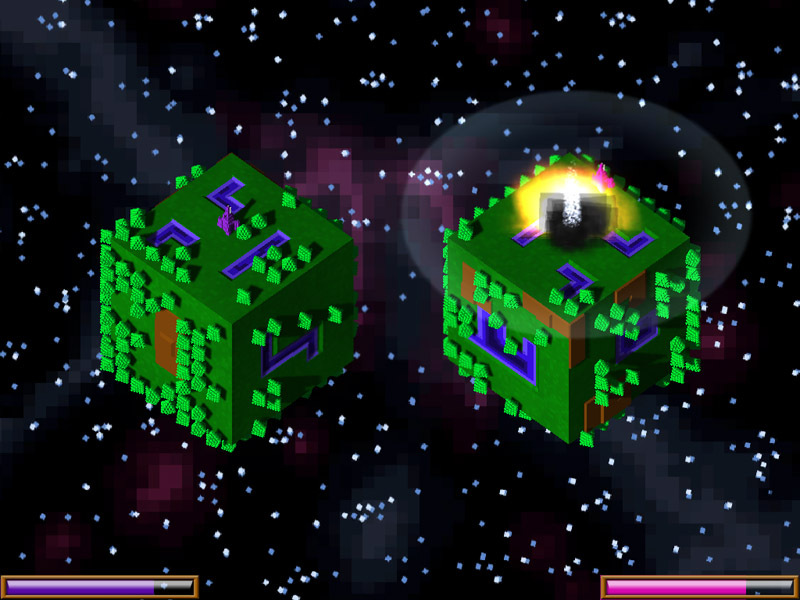 For simplicity we decided to use cubes instead of spheres as planets, since this simplified the movement of the player. We also allowed the player to rotate the planet, since resources is always greener on the other side. The players fights until the one player dies. We managed to carve out most of these details Friday night. When we met Saturday morning it was time for one looong crunch. The team consisted of 3 programmers, 2 game designers and 2 graphics artists – 3 of my team members was my colleagues from Watagame. The full team worked hard and around midnight we had a playable prototype. 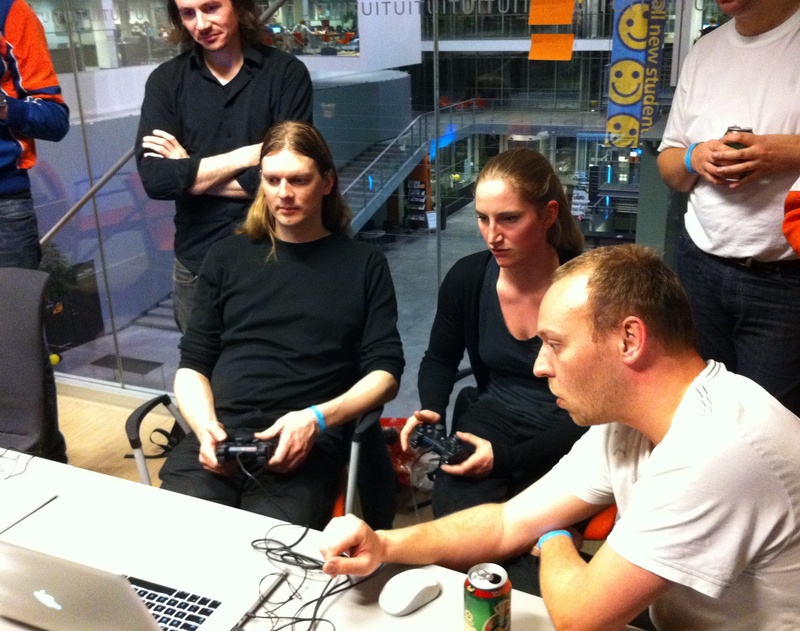 We were lucky to get some professional game designers to test our game – they provided invaluable feedback. The last few hours before the handin was spent on play-testing, implementing the final stuff and creating the last graphics assets. We manage to create our game idea pretty close to what we had imagined. The two players each control their own creature using either joystick or keyboard. The visuals ended up being very cool voxel graphics. Once again it was a pleasure working with Unity (meaning very few crashes and very few problems with the asset server). The game made it to the final round in the competition, but we didn’t win any prize. However a few days after the NGJ event our game was picked as one of the noteworthy by Thomas Vigild’s blog in the Danish newspaper Politiken (Link).